Many of our clients visit us after a recommendation from a friend or family member. We appreciate that our loyal clients speak so highly of us, so we’ve developed a ‘Refer a Friend’ scheme to say thank you. Both the person referring and the new patient will each receive £35 credit towards treatment at the FAB Clinic. The person referring must be an existing client of the FAB Clinic. 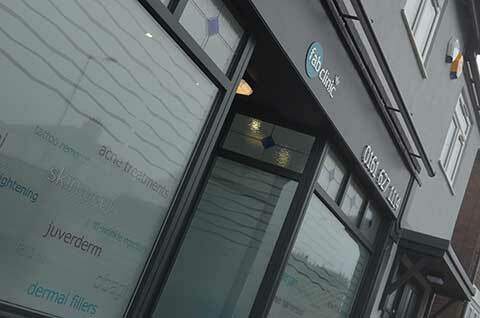 Recommend the FAB Clinic to friends and family members who haven’t been treated by us before. Fill in the form at the bottom of this page with both people’s details at least three days prior to when you wish to use your credit, and our FAB Clinic team will be in touch to let you know when it’s been approved. Ask your friend or family member to mention their £35 credit and your name when they book their first appointment with us. After their appointment we’ll credit your account with £35 to go towards your next treatment. All refer a friends have to be approved prior to any appointment. Requests on the day will not be accepted. Not applicable to Consultant or Doctor led treatments. We reserve the right to refuse a refer a friend request and due to Data Protection legislation may not be able to explain why. Please complete the form below to refer your friend to receive £35 each towards a treatment. There is no limit to the number of friends that you can recommend to the FAB Clinic!